"Being a nurse is like being a soldier," Wislyne S. Yarh Sieh said after working on the front lines of the 2014-2015 Ebola outbreak in Liberia. "You cannot take your uniform off when there is battle." Photo by Sarah Grile for USAID. The current Ebola outbreak in northeastern Democratic Republic of Congo (DRC) is now so serious that it might not be containable and could become endemic. The World Health Organization (WHO) reports this week that there are now 300 cases of the virus and 186 deaths since the outbreak was declared four months ago. Twenty-seven health workers have been infected and three have died. Right now in the DRC, health workers are being attacked. We at IntraHealth International, as well as at the Frontline Health Workers Coalition and the Safeguarding Health in Conflict Coalition, have made and heard this plea before, at the same office building no less, during a 2014 Senate hearing at the height of the Ebola epidemic in West Africa. That epidemic infected more than 28,000 people—including four in the United States—killed more than 11,000 people and cost $4.3 billion to contain. There is evidence that focusing on the frontline health workforce works. More than 75% of the responders to an earlier Ebola outbreak, declared in May in northwestern DRC, came from within the region. These frontline health workers had a strong understanding of the disease, thanks in part to support from US global health programs, and a new trial vaccine helped them feel safer. On July 25, the WHO declared that outbreak contained—in just 16 weeks. Fortunately, the United States joined leaders from around the world this week to agree on a new framework for the second five-year phase of the Global Health Security Agenda (GHSA)—a growing partnership of 64 countries, international organizations, and nongovernmental stakeholders that aims to boost the prevention, detection, and response to infectious disease threats. The local and global threat posed by the current Ebola outbreak in the DRC brings immediate urgency for the new GHSA 2024 framework to mitigate infectious disease threats. Unfortunately, right now in northeastern DRC, frontline health workers’ heroic efforts are being made near-impossible by war in the region. Health workers and others are being attacked and armed militias, too many to count, are complicating their efforts to trace those who’ve come into contact with Ebola and care for the sick. Active shooting is common. I cannot access entire villages. 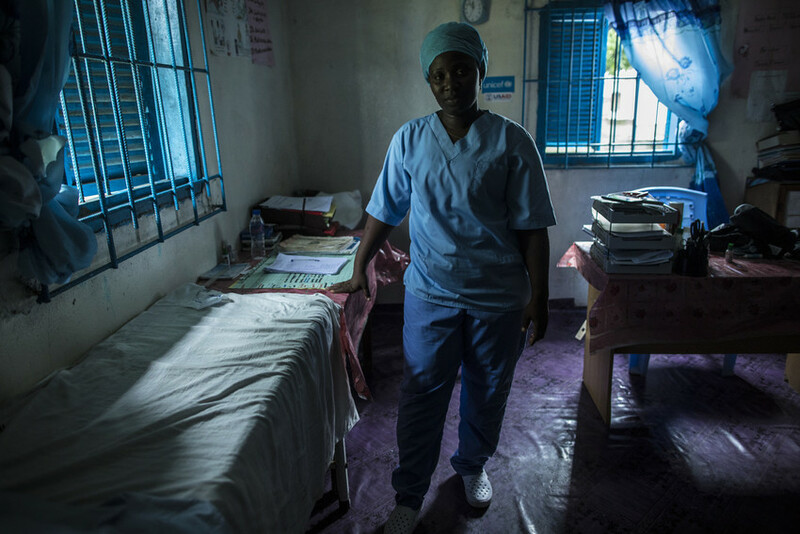 We commend the actions of the United Nations, the WHO, and leaders around the world to improve the security situation in the DRC, as cease-fires are critical for frontline health workers to quash this outbreak. But attacks on health workers and facilities are far from confined to the DRC and are occurring in at least 23 countries in conflict around the world. Far greater action for monitoring and accountability of attacks on health workers is paramount for GHSA’s efforts to be successful. Unlocking the massive humanitarian, economic, and safeguarding potential of frontline health workers could be the key to a safer and more prosperous world. To do so, we must listen to the stories of frontline health workers who put their lives on the line to save their communities. And we must couple their heroic action with policies and investments that ensure they are connected to the information, training, and equipment they need; that they are able to safely perform their work and are protected from violence in conflict areas; and that their lifesaving services are available to the most neglected communities.